Hi. My name is Dr. John Shim, and I would like to discuss a very specific topic that is often a finding on x-rays or MRIs of the spine. The term is lordosis. It basically describes the backward curvature of the spine. To go back to some basic anatomy, the whole spine, from the head to the tailbone is composed of two backward oriented curves, and two forward oriented curves. If you look at the side view of the whole spine, just below the head, is your neck. In what is considered normal anatomy, the neck curves backwards. As stated before, this backward curvature is called lordosis. The upper back, or the thoracic spine then curves forwards. This forward curvature of the spine, which is called Kyphosis, also allows development of a concave space in the upper body, which then forms a protective cage with the ribs to house structures such as the lungs, the heart, and the liver. The lower back, which is called a lumbar spine, then curves backwards again. Then at the bottom of your spine, the so called sacrum, forms another forward curvature, and becomes another protected space with the pelvic bones to house your bowels. The net effect of these four curves is that it allows your head to remain balanced over your shoulders, and the center of gravity fall over the top of your pelvis. 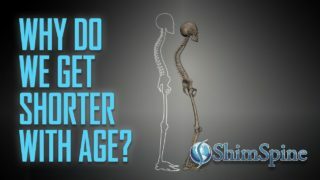 When you stand normally, the center of your weight, or so-called sagittal balance allows you to be most efficiently standing, without expending too much energy trying to balance your body parts over the legs. So naturally, we assume that the neck, and the lower back, should have a normal lordosis curvature. Most people do not get x-rays of their spine when they are not hurting. So when people have pain, one of the tests often ordered by your doctor is an x-ray. Our radiologists will read the x-rays, and if there is a lack of curvature, the report would indicate lack of lordosis. Because the person getting the x-ray is in pain, and there's a finding of loss or lack of lordosis, the common sense assumption, is, that this loss of lordosis or straightening of the spine is an indication of some sort of injury or pain. But this is not the only reason people have lack of lordosis. One reason a person would have loss of lordosis may simply be positioning. Some people just take x-rays with their neck or back straight. Another reason a person can have loss of lordosis is secondary to the natural degenerative process. As the discs narrow, there is a straightening of the spine that occurs over time. But the most surprising reason why people have lack of lordosis, or straightening of the spine is because that is just the way they are. Multiple research studies have identified loss or lack of lordosis or straightening of the spine is a normal variant of people's anatomies. X-Rays of painfree people will often demonstrate this loss of lordosis. So while as a practicing doctor I do believe loss of lordosis may be a sign of pain or injury, I also know lack of lordosis or straightening of the spine may be just a normal degenerative process, or may be an issue of positioning while taking the x-ray, or may be the normal anatomy of that person. I hope I did not confuse your understanding about lordosis. While it may be considered a normal finding, lack of it may also be normal. This is Dr. John Shim and I thank you for watching the video. We see it frequently on MRI reports, especially in patients who were in car accidents, “there is a loss of lordosis in the cervical spine”. 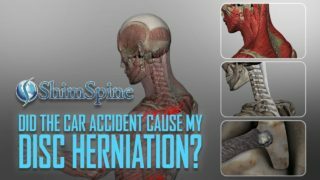 It sounds scary and is often followed by the information that this is “often caused by spasm in the neck and upper back”. Is this something to worry about? Many would have you think so, but what do the studies say? Loss of lordosis in the cervical spine is when the normal curve of the cervical spine is lessened or straightened. When the curve of the spine points toward the front, it’s called a lordosis and toward the back, it’s called a kyphosis. Many chiropractic and physical therapy sites start with this type of global statement concerning loss of lordosis but is it really that important? Does it cause muscle spasms? Do muscle spasms cause the loss of lordosis? Many studies have occurred with some surprising results. In 1994, Helliwell et al. performed a cross-sectional study on the prevalence of “straight” cervical spines in three populations to assess whether there would be any correlation between loss of lordosis and muscle spasms. One group had acute posttraumatic neck pain, one chronic neck pain, and another group was made up of healthy controls. Interestingly “straight” cervical spines were more frequent in the chronic and healthy groups as opposed to the acute post injury group. In 1998, Matsumoto et al. published a paper, in which they compare cervical curvature between two groups of almost 500 subjects each, of which one is composed of asymptomatic volunteers and the other of acute whiplash injury patients. Both groups show no statistical difference in the prevalence of altered cervical curvature. In 2014 another confirmation was made available on the lack of significance of cervical curvature on the clinical picture. Kumagai et al. published a study on over 700 volunteers measuring cervical lordosis and investigating on its significance. They conclude that the sagittal alignment of the cervical spine was not associated with neck symptoms, but degenerative changes were associated with the severity of neck pain. So, according to studies, the loss of curvature in the cervical spine is really not associated with neck pain and not something that is going to be that big a deal in the “big picture”. As for those who insist on “getting that neck back in alignment”, here is one more study. In 2015, Shilton et al., compared cervical lordosis in thirty healthy controls and thirty pain patients and carried out spinal manipulation on the pain patients with subsequent remeasuring of the cervical curvature. They conclude that no difference in cervical lordosis (sagittal alignment) between patients with mild nonspecific neck pain and matched healthy volunteers could be found. Furthermore, there was no significant change in cervical lordosis in patients after 4 weeks of cervical spinal manipulation therapy. Lesson learned. Go by how you feel, not by an MRI report, or how someone tells you to feel. Get treatment the same way. If it hurts, seek treatment. If the treatment doesn’t provide relief or is temporary, stop it and get advice from someone else. Dr. Shim always tells people that lordosis, or lack of it, can be from 1. Positioning, 2. Degeneration, or 3. Pain. By review of the science, it appears lack of lordosis may most likely be your normal anatomy.